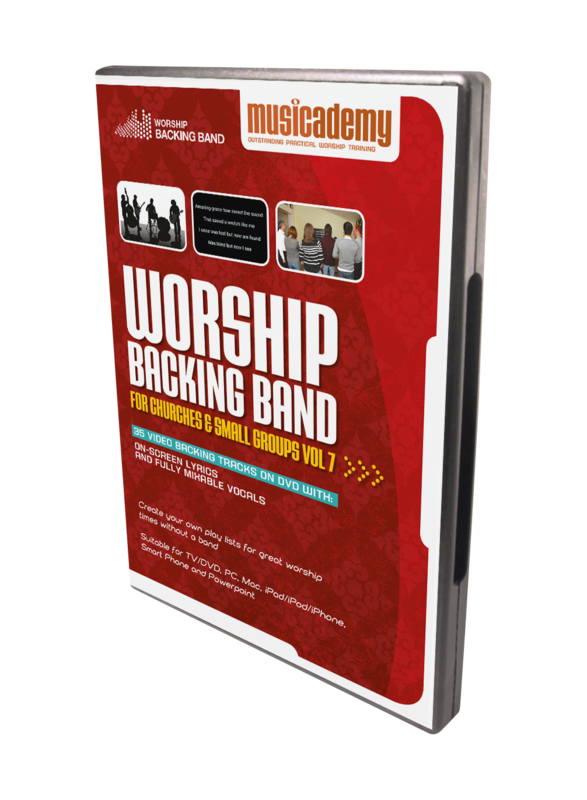 Today we launch our 7th Worship Backing Band DVD for churches that want to sing contemporary style worship but lack musicians. The DVD features backing tracks with on-screen lyrics to 35 of the best known worship songs including 10 contemporary band style hymns and carols..
All our MultiTracks come with an Ableton session file. These videos will help you use Worship Backing Band MultiTracks in Ableton. Here’s a quick video showing you how to create a song mix in the MultiTrack Player. Here’s a quick video showing you how to build a set list in the MultiTrack Player. Here’s a quick video showing you how to use the hot keys in the MultiTrack Player. Here’s a quick video showing you how to upload a song to the MultiTrack Player. Just downloaded worship backing band software and the song “Forever” and was blown away at how good the tracks sounded as well as how easy it was to install and use! One of the best pieces of software I’ve ever bought no doubt! Consider this coming from a producer,songwriter, guitarist, & sound engineer who has used Pro Tools and produced three albums over the last 6 years! Great software for learning and teaching. I’ll find out how well it works in a live environment very soon! Job well done folks! We are blown away by your excellent program. Our worship team has never been better since we’ve implemented it into our system. “We are fans for life!” would be an understatement. Thank you, thank you, and thank you!